About a year ago chrome started to show interface and sites in weird colors. Most was pink and green. Tried to update drivers (GTX 1080), clean install of Chrome etc – nothing happened except 2 solutions: first was disable hardware acceleration (very bad solution) and second change internal chrome://flags/#force-color-profile to be forced as sRGB. Yesterday I found that steam shows same weird colors in internal web-pages – discussions, groups etc and rechecked all parameters, played with them and “fixed” as i guessed. But today I installed Atom editor, run it and… the same problem. All color channels are shifted. When i tried to understand what’s wrong, i found that all color channels are shifted. Profiles created with “eye one display” + DisplayCal latest wersion (3.7.1.4 for that moment). All monitors/profiles shows identical issue. 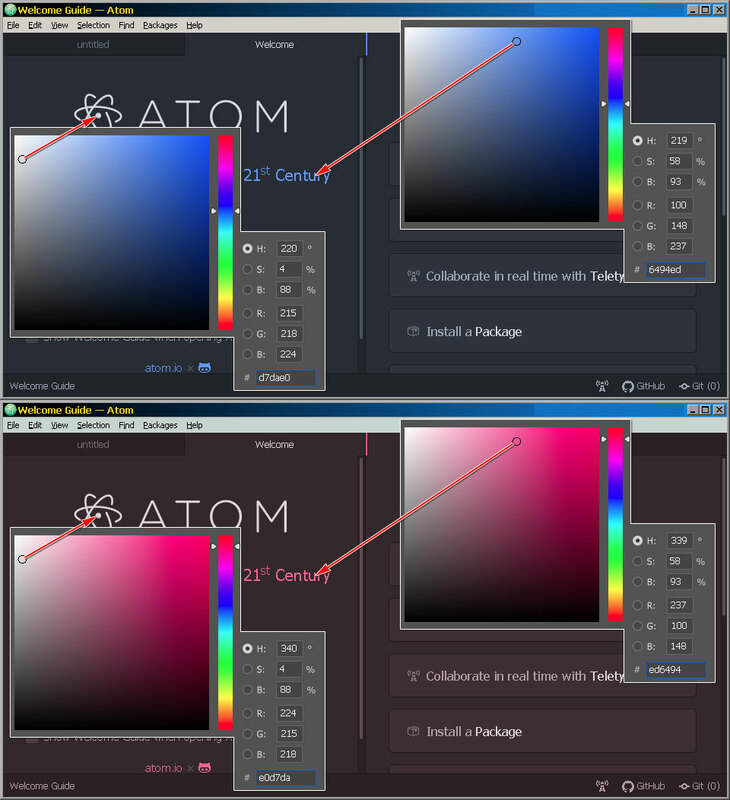 If default profile set to standard “%Windows%System32spooldriverscolorsRGB Color Space Profile.icm” and we start Atom (Chrome with disabled hardware acceleration and/or flag #force-color-profile is set to Default or steam when Chrome with that settings) – then all is OK, when default profile set to generated by DisplayCal/Argyll – then all is wrong. And i don’t know where the problem will comes out next time. Contacted with Graeme Gill, he answered that this is not a bug in Argyll and/or DisplayCal, but flag that software that shows shifted colors just didn’t support cLUT based profiles. Digging in problem found good topic where the same problem discussed: discuss.pixls.us/t/problem-when-using-xyz-lut-monitor-profile-with-gimp-2-10-gimp-2-99/8642/17 – Graeme described very detailed what and why. So now i understand the problem. Software just use embedded matrix profile with swapped channels for diagnostic purposes – profile has cLUT and matrix with swapped channels, so any software that can’t understand cLUT will read “bugged” matrix or ignore ICC at all. If software uses that matrix and not cLUT than problem exist. I think topic can be left for next generations of users who will search the same problem. Thank you all, thank you, Florian, thank you Graeme.